As mentioned, Julian Casablancas + Voidz are currently on their tour, and will play NYC next week at NYC’s Hammerstein Ballroom on 11/25 with Shabazz Palaces. 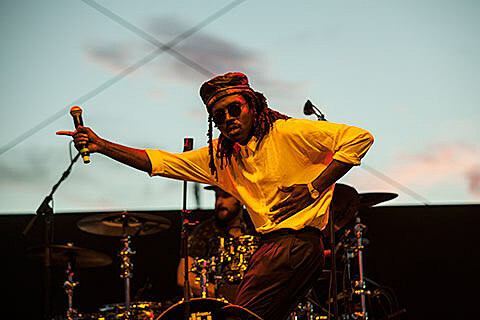 Added to that bill is Blood Orange who you may have seen opening for the Voidz at Shea Stadium). Tickets for what’s now a pretty strong triple bills are still available, and we’re also giving away a pair. For a chance at winning tickets to Julian Casablancas at Hammerstein Ballroom: either tweet something that includes both @BrooklynVegan AND “JULIAN CASABLANCAS AT HAMMERSTEIN BALLROOM” in the tweet, or send an email to BVCONTESTS@HOTMAIL.COM with the subject line “JULIAN”. Include your first and last name in the email. We’ll pick a winner at random and contact them with more details. If you enter by email, it will not be shared with anyone else. Good luck!